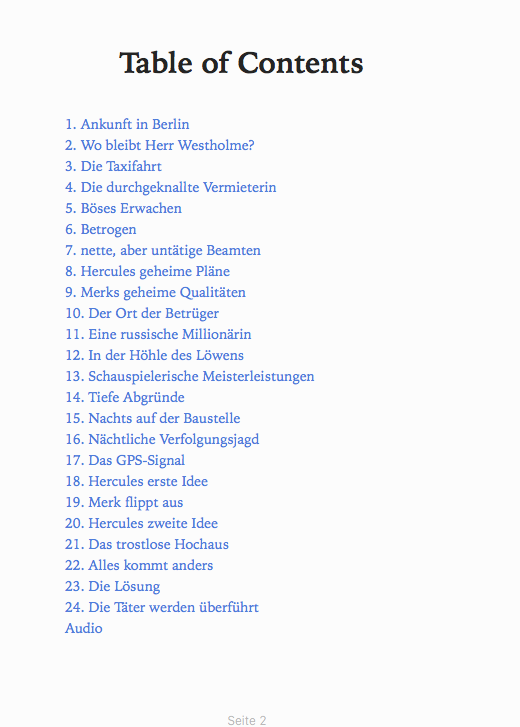 Intermediate German Story - Discover Berlin! 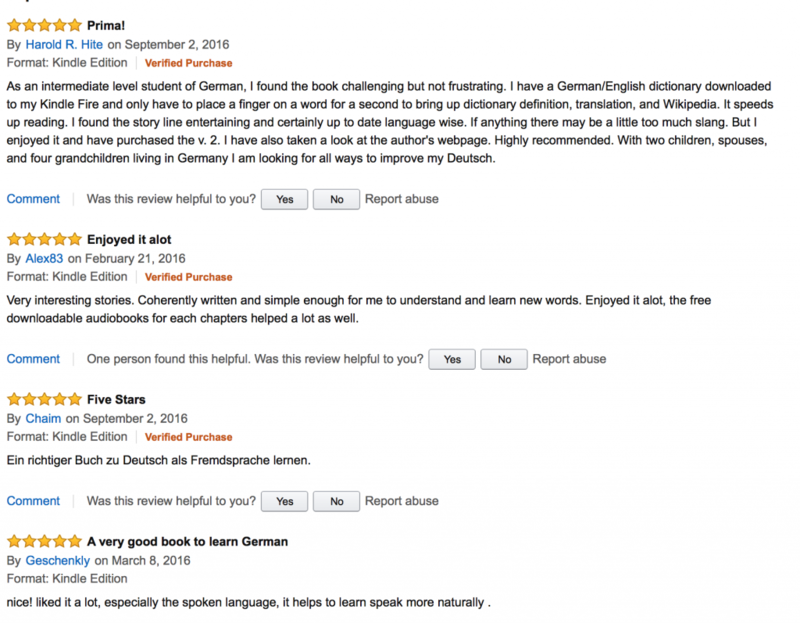 Tired of German text books? With the Krimi in Berlin, learning German is fun and natural. 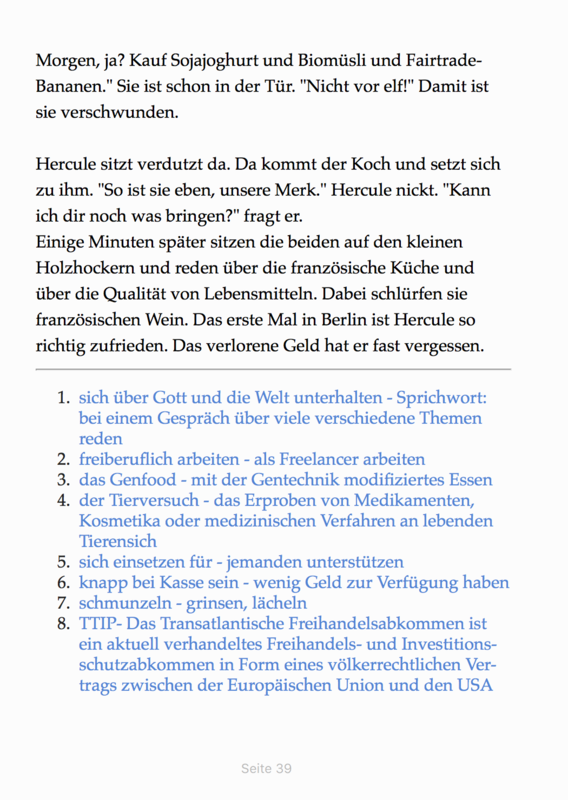 This eBook is a must-read for intermediate German learners looking for something a little bit different. 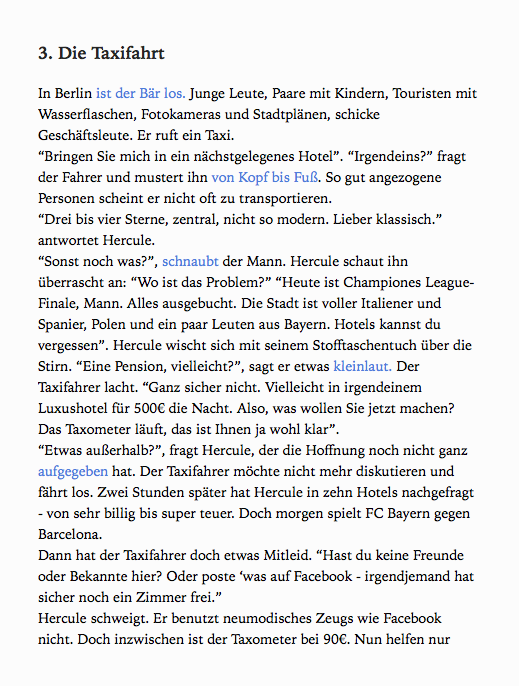 Slang words, spoken language and audio materials complement the Intermediate German Story. 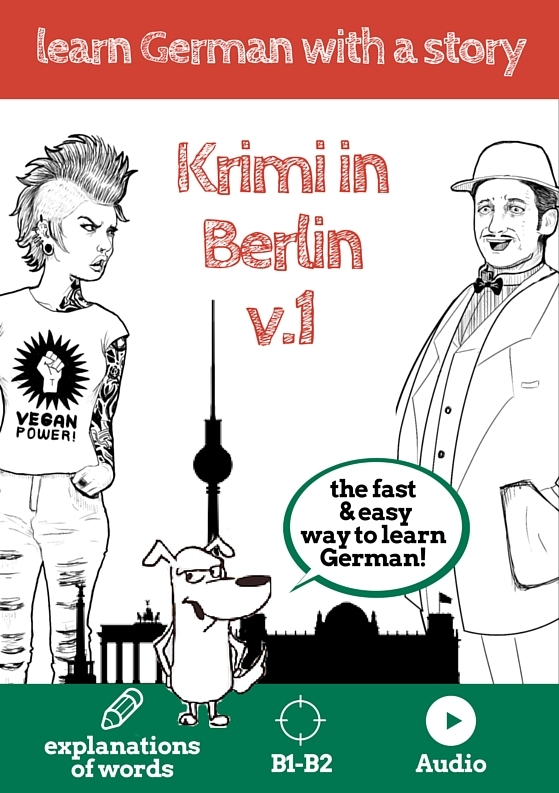 For German learners who would like to read more than their textbooks, Krimi in Berlin (Crime Novels in Berlin) eBook and audiobook series is the perfect stepping stone between beginners’ sentences and complicated novels. With this Intermediate German Story, you will not only learn new slang words – you will also enjoy yourself! This is the modern, fun way to learn German. Get the German eBook as a EPUB and PDF. Inside, you find the link to download the Mp3-Files. With the Krimi in Berlin series, learning German is fun and natural. This eBook is a must-read for intermediate German learners looking for something a little bit different to give their German that extra edge. Krimi in Berlin revolves around Hercule Poirot (no, not that one), a Frenchman who moves to Berlin only to discover he has become the victim of fraud. Enter Merk, a woman who is the complete opposite of the conservative and meat-loving Hercule – she is an ultra-left hacker, vegan, constantly broke, with a half-shaved head, tattoos and a tendency to use swearwords. This unlikely pair find that they work really well together, and in Krimi in Berlin V1 end up solving mysteries which go far deeper than just Hercule’s deposit fraud. Audiodateien – über 80 Minuten Länge!